Auto accidents are regular occurrences around the city and county of Riverside. Unfortunately, every day, someone in our community is injured on our roadways from preventable causes. Victims of automobile accidents are more than statistics. These are our friends, neighbors and family members, and when they are injured in an automobile accident, compensation is expected and justified. Although accidents seem to be commonplace, it doesn’t make them any less traumatic when it happens to you. They can be life-altering events. If you or a loved one has been injured in a serious auto accident, contact the experienced Riverside car accident attorneys at Aitken * Aitken * Cohn today. At Aitken * Aitken * Cohn, we leverage our collective experience to effectively analyze statutes, research case law, and develop mechanisms to enhance our clients’ chances for maximum, financial recovery. We proudly serve clients throughout Southern California. One of California’s most respected civil litigation law firms, Aitken * Aitken * Cohn is dedicated exclusively to representing plaintiffs, whether it be the most seriously injured individual, a family that has lost a loved one or a business entity/consumer victimized by unfair and fraudulent business practices. The firm enjoys a national reputation for the quality of its trial skills and the aggressive representation it provides on behalf of its clients. This reputation was built on a foundation of numerous trial victories, settlements and precedent setting appellate decisions and is nurtured by the firm’s continuing commitment to each of its clients. While the firm’s success has translated into substantial recoveries for its clients, the firm derives equal satisfaction from the knowledge that these cases have also promoted a safer, more fair society. The aftermath of an automobile accident can be incredibly overwhelming. Our personal injury attorneys are skilled researchers, investigators, and negotiators who remain singularly focused on helping our clients seek justice and maximum compensation. 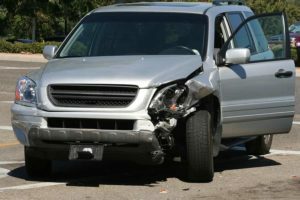 If you or someone in your family was injured in a Southern California car accident that was caused by someone else, financial compensation is possible. No matter how safely we drive, there is always the possibility of being involved in an accident due to someone’s negligence. Whether the fault is determined by subjective or objective standards, it is a critical element of a personal injury case. Aggressive and reckless behavior, such as changing lanes too quickly, or speeding is a major contributor to roadway accidents. Aggressive drivers are responsible for collisions and property damage that happen because they were passing on the right, yelling and impulsively and continually honking or flashing their car lights. Shouting verbal abuse, obscenities, or threats. Threatening to use or using a firearm or other deadly weapon. Disobeying traffic signs and signals is both reckless and illegal. Running a red light, or failure to yield right-of-way can cause serious and life-threatening injuries. Driving under the influence of alcohol or drugs is one of the most dangerous causes of accidents in the United States—and is the most deadly. In 2016, 15 percent of all drivers killed in motor vehicle crashes, who were tested, tested positive for legal and/or illegal drugs. Prescription medication can have sedating side effects that make driving hazardous. As of January 1, 2018, California became the sixth state to legalize the sale of marijuana. It is against the law to use marijuana while operating a motor vehicle. Failure to adjust to poor weather conditions such as heavy rain, or limited visibility due to fog. Distracted driving remains a leading cause of car accidents, despite California laws that ban all drivers from using handheld cell phones while driving (whether the driver lives in California or not.) In addition to phone calls and texting, eating, reading, and grooming while driving can cause accidents. Night driving: Lack of visibility makes hazards more difficult to see at night. Our ability to perceive and judge distance is severely impaired at night. Driving after dark is a major cause of car accidents. Wrong-Way driving and improper turns are not uncommon, especially when drivers are not familiar with the area. Momentary lapses in judgment while driving a car can cause life-changing accidents. Driver fatigue is one of the top causes of car accidents, since drowsy drivers are unable to adequately perceive, react, and respond to situations on the road. A 2018 study sponsored by the Automobile Association Of America (AAA) revealed drowsiness was identified in 8.8 percent–9.5 percent of all crashes examined, and in 10.6 percent–10.8 percent of crashes that resulted in significant property damage and airbag deployment. Following too closely, also known as tailgating, is a leading cause of rear-end collisions. This type of crash can frequently cause serious personal injury and trauma to the neck, spine, brain, and back. Inexperienced drivers and teenage drivers may lack the experience necessary to drive defensively. If a driver’s negligence has made you an auto accident statistic on Riverside County roads, you need the experienced personal injury litigators at Aitken * Aitken * Cohn. Our founding partner, Wylie Aitken, has received a “Best Lawyer distinction” for 31 consecutive years, and we are proud to say each of our qualified lawyers, eight in total, have been included in the 2019 Edition of The Best Lawyers in America. Aitken * Aitken * Cohn, was part of a team of 30 law firms and 80 plus lawyers that represented millions of Toyota vehicle owners in the largest automobile class action lawsuit settlement in U.S. history. $1.63 billion. When injury or damage from auto accidents are caused by government employees, or from preventable road conditions, litigation against the city or state may be possible. The California Tort Claims Act allows a victim to file suit against the government under certain conditions and time constraints. There is a six-month window (from date of injury) to initiate a claim, and the administrative process is not always simple. Car accident reporting. If you are involved in a vehicle accident you must report it to the Department of Motor Vehicles (DMV) if there was property damage in excess of $1,000, or if there were any injuries. Auto insurance law. The laws of California require all motorists to be financially responsible for at least $35,000 worth of damages while operating a vehicle. The state allows residents to prove financial responsibility either with an insurance policy, a cash deposit of $35,000 or a surety bond for $35,000. Minimum requirements for insurance coverage is set at $15,000 for bodily injury liability per person, $30,000 for bodily injury liability per accident, and $5,000 property damage liability per accident. Shared fault. California has a pure comparative negligence rule meaning the amount of compensation a victim may receive will be reduced proportionally to their percent of complicity. The statute of limitations. In California, you must file a personal injury claim within two years. Among the most severe injuries are those that impact the skull and brain, including concussions and traumatic brain injuries. Neck pain (whiplash) is probably the most common complaint following an accident. This unnatural jerking motion can result in headaches and dizziness. Burns are some of the most painful injuries from an automobile accident. Any degree of burn can result in permanently damaged skin tissue, nerve damage, infection, and scarring. Serious burns may require skin grafts, and can frequently be fatal. Bone fractures, common in high-impact traffic accidents, may require surgery as well as an extended recovery period. Loss of lower or upper extremities is also common if a victim is crushed or thrown from the vehicle. Any of the above injuries can dramatically alter a victim’s life. When a person suffers a catastrophic injury because someone’s negligence, they may be forced to make drastic changes and modifications to their lifestyle and living environment. At the law offices of Aitken * Aitken * Cohn, we are zealous in our quest to hold responsible parties accountable. We believe there is a price to pay for undue pain and suffering. Stop. Never drive away from an accident. Safeguard the area. Avoid another collision by setting up flares, or keeping your flashers on. Call law enforcement, and get a police report. Give an accurate description of the incident to the police. Protect your integrity and do not misstate any facts. Notify your insurance company as soon as possible. Take pictures. Use a cell phone to visually document your injuries, the accident scene, and any property damage. Start a file with all accident-related information and documents. This should include receipts for a rental car, and any other expenses related to the accident. Defense attorneys and powerful insurance companies will do everything within their power to disprove your claims and discredit your account of events. They could claim the injury was not their fault, you have not experienced a significant injury or loss, or you have a pre-existing condition. Social media is a powerful tool. Be cautious in posting comments about the accident, or pictures of yourself engaged in strenuous activities. A defense lawyer or private investigator may monitor your public accounts to find evidence that could jeopardize your case. Anxiety can also cause a person to experience problems with personal relationships. Some victims may find that they are fearful and unable to resume driving. Additional potential side effects are recurring flashbacks about the accident and symptoms of PTSD. When possible, stay out of the fast lane. You will have more opportunities to avoid problems and get out of the way quickly in the event of sudden problems. Assume that a car’s condition is an indication of an inattentive driver. Stay clear of vehicles with excessive body damage, unpredictable movements on the road, and behavioral red flags like cell phone use, headphones, or other distracted behaviors. Keep your car in good shape. Follow the manufacturer’s recommended maintenance guidelines, and replace worn tires. As a personal injury lawyers, our firm actively supports organizations and community projects that promote victims’ legal rights. At Aitken * Aitken * Cohn, we rely on our collective experience to help victims of car accidents get the compensation they deserve. Our attorneys fight aggressively to recover medical expenses, lost wages, pain and suffering, property damage, and other accident-related costs. We are well positioned and committed to providing competent legal representation to the individual, family, or business entity that has suffered injury or catastrophic loss in any variety of circumstances. Contact us online, or call (951) 534-4006 for a no-cost evaluation of your legal issues. If we determine our firm can help you, we offer our services on a contingency basis: you will not owe us a fee unless we are successful in settling or proving your claim.